The head is large, long and well proportioned. The eyes are clear, alert with thin, close-fitting eyelids. Although quite short, forelegs are vertical and parallel. His legs are straight, never bent like the Dachshund. The coat is thick, close-fitting, and flat all over the body. Coat colors come in fawn, black or black/tan; always with the white markings on face, feet, neck, chest and tail tip. Canada allows all colors. The tail is carried with a downward curve. The upper lip is quite tight, and fits firmly over the lower jaw. Alert, calm, friendly and even, the Drever is known for the ongoing slight wag of his tail. The Drever often wants to continue working long after its human companion has satisfied his own hunting instinct. It has a first-class nose and is a powerful tracker. 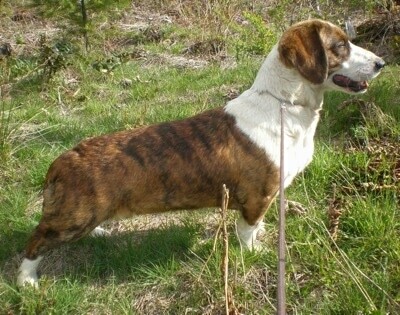 Because of its short legs, it is slower than other hounds. This makes it ideal for maneuvering game toward the hunter's gun. The Drever is a steady worker that hunts hare, fox, and occasionally deer; but this dog has the courage to pit himself against even a wild boar. In such cases, he circles and dodges the prey, warning the hunter by barking furiously. The Drever has an excellent nose and a musical voice which is much larger than his size would seem to warrant. The Drever was bred to be tenacious on the hunt and therefore it is very important that the owners of this breed are just as stern when dealing with him in order to show him where his place is among his human pack. Owners who are determined and consistent with the rules, displaying a natural firm but not harsh authority over the dog will bring out the best in this breed. Passive owners will find the dog to become stubborn and headstrong. Drevers that lack in mental and physical exercise and/or leadership will develop quirks in their temperament. 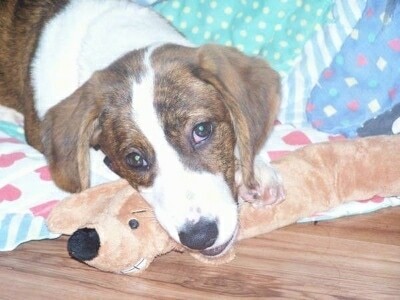 Socialize this dog well. These are active dogs with surprising stamina. When not hunting they need a daily pack walk or jog. In addition, they will enjoy a session of play in the park. The smooth-haired coat would do well with a regular rubdown with a damp cloth. This breed is an average shedder. The Drever is a re-creation of the type of short-legged dog used to drive game toward the gun; the Drever was developed from the now-rare Weshpalian Dachsbracke and local hounds. 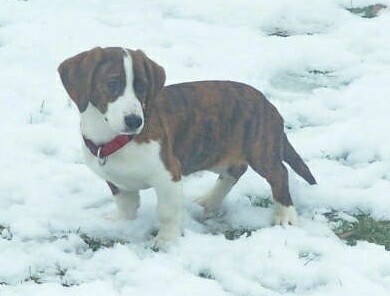 The Drever is rare outside Sweden, but it is almost as popular there as the Labrador Retriever is in its home country. In a short period of time this industrious breed has become the Swedish hunter's most popular companion. Drev means “to hunt” in Swedish, and hunting was what the Drever did best. Officially named in 1947, the Swedish KG gave him the nod in 1949. 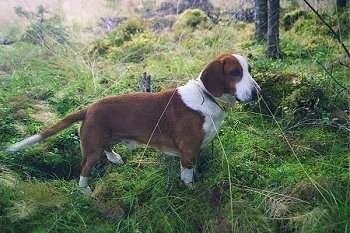 Since then, the Drever has become one of the most popular breeds in his homeland. Its personality is typical of other Dachsbrackes and Dachshunds. The Drever was officially recognized in Canada in 1956. 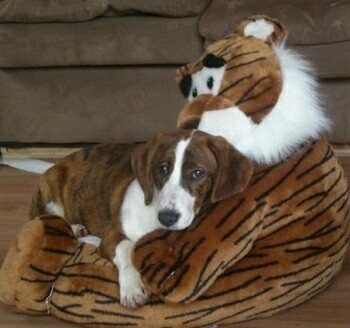 "Bindy is a female brindle Drever shown here at 6 months old. She is very spunky. She loves hunting in the woods and playing in the snow, but also enjoys sleeping on the couch. She gets fed dry kibble mixed with cooked ground beef. 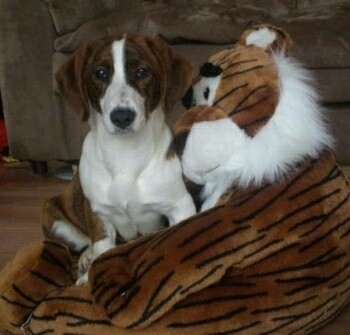 She loves other dogs and children, but is a little wary of strangers and dogs she doesn't know."